This is a new OEM Fisher 1-1/2" x 12" Hydraulic Cylinder Assembly 20117K. This is a new OEM Fisher 1-1/2" x 12" Hydraulic Cylinder Assembly 20117K. 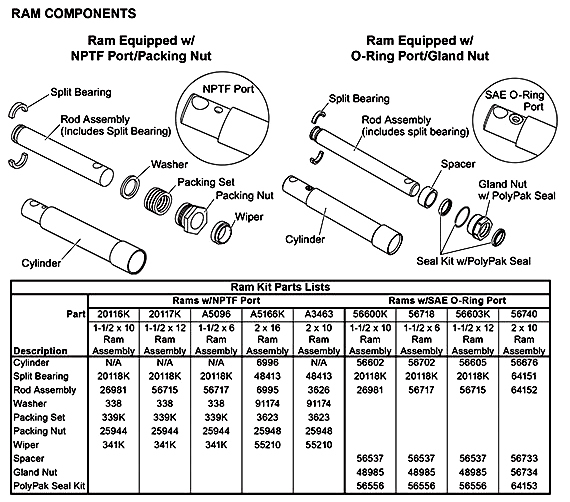 This Cylinder includes the Barrel, Split Bearing, Rod Assembly, Washer, Packing Set, Packing Nut and Wiper.